Recreating a classic French wine bar in Hong Kong isn’t an easy task as it involves more than just a splash of classic Parisian decoration and some suitable wines. 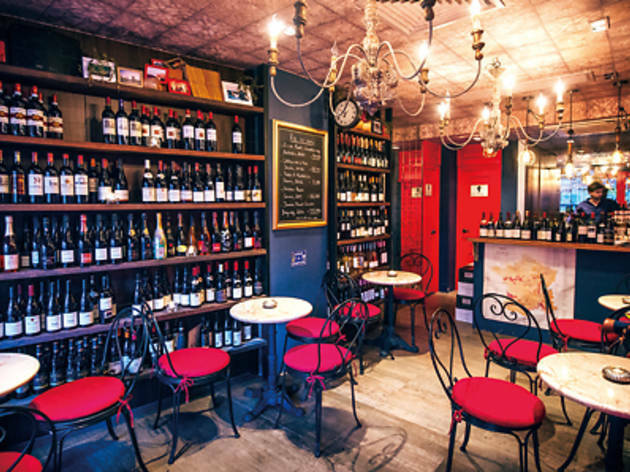 A French wine bar is about the ambience, the relaxed vibe and, yes, plenty of good vintages on the menu. It’s not impossible to recreate this atmosphere in our city – but a balance must be struck between attracting good foot traffic and preventing the place from getting too rowdy. Especially when the bar’s namesake is a lush green plot in the famous Puligny-Montrachet area of Burgundy. Les Pucelles, a relatively small space that’s just opened in Tai Hang, looks the part. 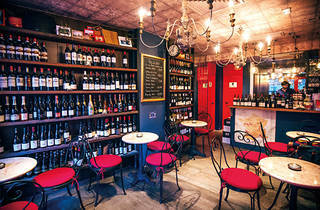 A dark red wooden facade, rows of empty wine bottles and surprisingly comfortable chairs adorn the venue. So that’s a big tick on ambience. When we arrive, there are a few customers chatting quietly and sharing bottles of rouge while an authentically French barman greets us and offers us a table. Second tick for the vibe. But what about the tipples? The wine list is a full page and includes bottles from Bordeaux, Burgundy, Languedoc and Savoie, as well as also covering Italian, American and New Zealand offerings, with prices starting at $380 a bottle. It’s available by the glass too, with five choices chalked up on the blackboard on our visit, which change on a weekly basis. We start with a glass of the Château La Grave D’Arzac, 2009 ($100). It’s dry and crisp with notes of melon, sweetgrass and sandalwood. And this only whets our palate for our next selection, the Domaine Vincent Girardin Burgundy, 2001 ($115), a medium-bodied red that allows cherry and raspberry flavours to dance on the palate before its short finish – perfect for a late-night sip. Les Pucelles 26 School St, Tai Hang, 2346 9855; keyakihk.com/les-pucelles.